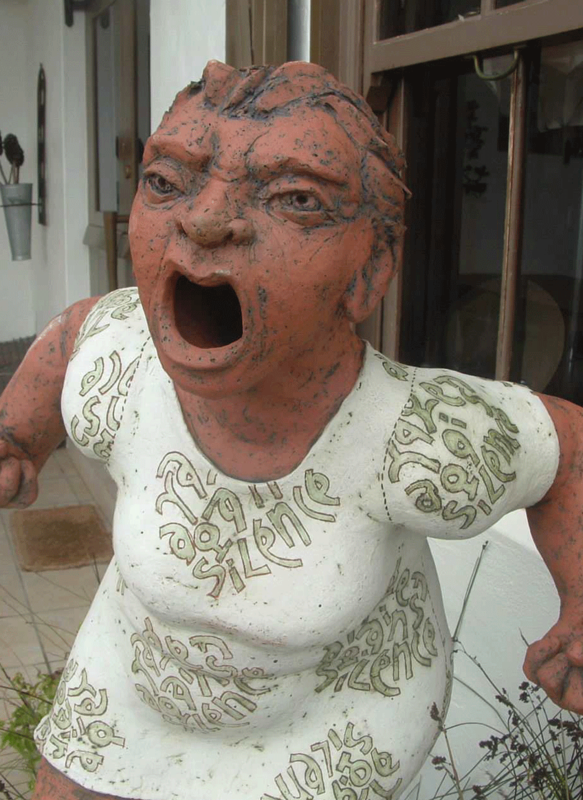 ‘ Tannie’ as she is fondly known, is shouting out against the silence that surrounds abuse of all kinds. She urges those who know of acts of abuse to stand up for the victim and bring darkness into the light by breaking the silence. 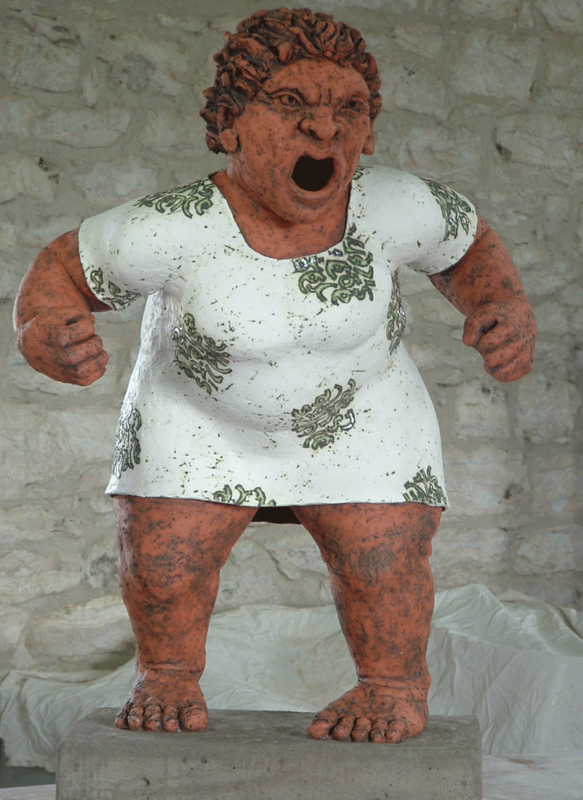 Ceramic Sculpture – terracotta, slips, oxides and glazes.